As a Head Bartender in our business you will play a key role in providing amazing experiences for our guests. You will be the face of our business for every guest that walks through our door so we’re looking for Bar Staff who enjoy working with people and are passionate about delivering the highest standards of guest service<br><br>WHAT WE LOOK FOR IN OUR HEAD BARTENDERS:<br><br>Great eye for detail<br>Best practice bar tender with passion for guest & drink evident at all times<br>Excellent verbal communication<br>Exceptional guest focus & service standards<br><br>HEAD BARTENDER ROLE:<br><br>Champion all training tools for drinks including STAR & the Bar Bible<br>Lead all drinks related training – drinks spec of the week / new products / specialist products / full understanding of brand offers & best practise delivery at all times<br>New drinks training team ‘expert’ and key contact for General Managers on new specialist products <br>Be responsible for ensuring the perfect of every drink every time to minimise waste<br>Be responsible for the maintenance of the cellar to Cask Marque standards <br><br>ABOUT US<br><br>Every day is made up of individual moments. At All Bar One, we see them all. The breakfast business meetings over coffee, the shopped-till-you-dropped lunchers, the casual evening diners and the post-work socialisers. In our bars, every moment brings a different challenge and a new opportunity. If you’re ready for anything and you know how to make every type of guest feel welcomed and valued, you’ll love it here. <br><br>WHAT WE CAN OFFER YOU:<br><br>We can offer you a personalised induction based on your current skills and knowledge, then set you some tailored goals within our S.T.A.R. development programme. This will help you progress to the next level, and beyond. Besides this you will have the opportunity to develop your career to some of our other excellent brands in Mitchells & Butlers. <br><br>33% off in ALL our businesses for you and up to 5 friends<br>Tailored industry training<br>Pension<br>Option to opt in for some of our share schemes (e.g. Free Shares Plan)<br>Shopping discounts with many UK leading retailers<br>Discounts on shoes for work<br>Flexible shifts<br>Up to 28 days holiday<br>Chance to earn extra money with our Referral Scheme<br><br>Oh, and you’ll have a whole heap of fun! 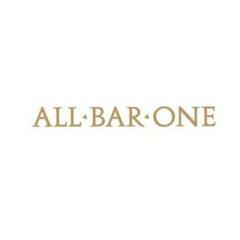 All Bar One Windsor is posting their hospitality jobs on Harri.